Government is out of touch, Needs to be more responsive, representing all. It should not be anti-small business, overtaxing, needs to follow the money, more fiscally responsible. John C. Maxwells 2 part book: “Developing The Leader Within You” and “Developing The Leaders Around You.” Whether in Business, Politics. or private life, it is good to make you and those around you the best they can be. We need more leaders in government, not weather veins. 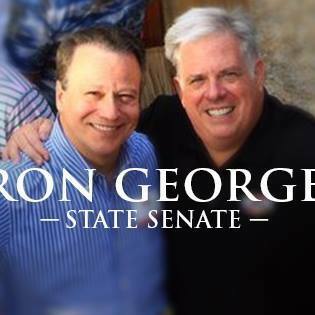 Helping Governor Hogan lower the tax rates so the state can raise more revenue and create more jobs with a government that is fiscally responsible. My district is rural and city. It is beautiful and unique. The needs vary. But one thing does not change: people want to feel safe and free with a clean environment, not trapped in crime and gridlock. 2nd Amendment keeps us free. All other societies that gave up their right to self-defend, they fell victim to an authoritarian government. Have seen the success of Charter Schools and I fought for them. I help start homeschooling in our county in the 1980’s and continued until 2016. I have seen the benefits of school choice. NOTE: I also feel that since all students are growing up into two systems: one system of government,and one system of economics, they ought to be learning the founding principles of our government and the principles of our free market system of economics. Right now they are not, and they are getting left behind and simply looking for a handout. NOT the least bit in favor. When I served as a delegate In the last month of session, I would take some meals, but nothing else. Never had time to eat. I put in the original “Jack Johnson” Bill that said if any elected official abuses his oath of office for monetary gain or sexual misconduct or any similar depravity and is Convicted for such an act, he or she would loose their pension and only get back what they personally paid into it. The prince George Delegation would not let it out of committee. I will be putting it in again!